The Novomedia Association is a non-profit journalist organization. 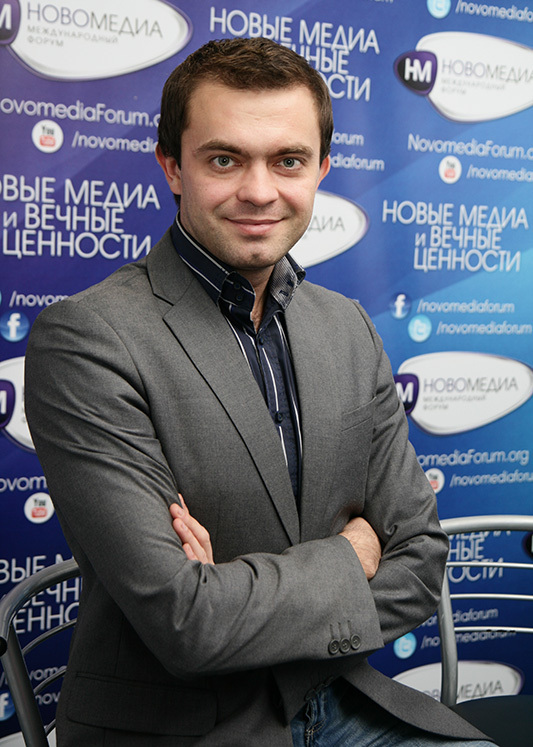 It was founded in 2004 at the initiative of journalist Ruslan Kukharchuk. The organization unites journalists and other creative workers in the field of mass media, who are Christians of various denominations. Thus, Novomedia is an association of people based on spiritual unity and professional interests. At the moment, the organization includes over 200 members from both secular and religious media. The association performs the function of liaison between religious organizations and mass media in order to help them establish dialogue and preclude confrontation. We have put into action over 50 partner projects – all working towards this goal, at the invitation of various organizations, churches, and mass media in Ukraine and beyond. The Novomedia Association serves as a training and consulting center. It regularly holds training sessions, lectures, and discussion clubs; helps students and beginner journalists develop professionally; and produces teaching materials (bulletins, DVDs, and audio CDs). The organization is also active at major higher education establishments, where it strives to establish close connections with the relevant faculties and departments. Among these are the Kyiv National University named after T. Shevchenko, National Universities “Kyiv-Mohyla Academy” and “Ostroh Academy”, Lviv National University named after Ivan Franko, Luhansk National University named after T. Shevchenko, East-Ukrainian National University named after V. Dahl, Cherkassy National University named after B. Khmelnitsky, and others. Novomedia and its projects are represented in many regions across Ukraine. At the same time, some of the organization’s activities have spread internationally. Members of Novomedia team currently reside in a number of countries across the globe, including Russia, United States, Germany, Kyrgyzstan, Canada and others, where they regularly hold training sessions. Over 5,000 people have participated in Association’s events and this number continues to grow. Your organization has taken up a task of great importance to journalism – to popularize Christian values and to integrate them into professional activity. We should admit that journalism today lacks precisely such values. This is why the mission of the Novomedia Association is extremely important. Good luck to you! Our motto: “Transformation of mass media is transformation of society”.